VERY SPECIAL, LIMITED-EDITION VINYL ALBUM CELEBRATES LIVE, ROCK HALL OF FAME PERFORMANCES, WITH ROCK ROYALTY AND AMAZING JAMS! Chuck Berry, Jimmy Page, Metallica and James Taylor Make This a Collectible! For over a quarter century, rock and roll s biggest stars have gathered annually on one special evening for an exclusive party: The Rock and Roll Hall of Fame Induction Ceremonies. Honoring music s most influential figures with the most prestigious of awards, it s also an evening where both artists and fans celebrate rock and roll with once-in-a-lifetime performances. For the first time on vinyl, Time Life has pressed a selection of the most memorable moments in the history of the induction ceremony, previously only available in digital and physical formats. 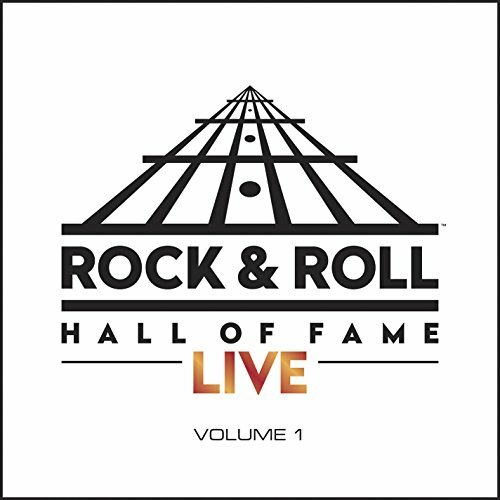 ROCK AND ROLL HALL OF FAME LIVE: VOLUME 1 LIMITED EDITION is a unique, collectible vinyl album pressed in bold purple (in honor of Prince) featuring an unforgettable set list including the biggest names in rock n roll. Includes performances from legendary talents like Bruce Springsteen & the E Street Band, Cream, Jeff Lynne, Steve Winwood, Metallica, Jeff Beck, Jimmy Page, Ron Wood, Joe Perry, Tom Petty, Green Day, James Taylor, Al Green, Chuck Berry and more. Unforgettable musical collaborations like Tom Petty with Prince and Mick Jagger with Bruce Springsteen. The original 3 members of Cream take the stage for the first time in 25 years for a blistering Sunshine of Your Love. Jam-filled performances of chart-busters like Johnny Be Goode, Train Kept a Rollin, Ironman, Blitzkrieg Bop, Can t Get No Satisfaction, and a show-stopping performance of While My Guitar Gently Weeps featuring one of the most memorable guitar solos by Prince, make this volume a must-have for any LP library. Live from Rock Hall Induction Ceremonies: We ve picked ten unforgettable, live performances from 1993 through 2009. Rock Legends: The biggest names in rock, performing in intimate settings and jamming in combinations not seen anywhere else. Perfect for Music Aficionados: LIMITED EDITION VOLUME 1 is a 180 gram PURPLE vinyl ticket to the very best from the Rock and Roll Hall of Fame induction ceremonies. First in a Series: Volumes 2 and 3 will roll out though 2016, allowing fans to collect even more of these beloved performances on vinyl. Collectors: It s a must-have for any LP library. For more than 25 years the Rock And Roll Hall Of Fame has celebrated musicians and music that have made a significant impact on the evolution and perpetuation of rock and roll. Their legendary induction ceremonies include incredible concerts, musical collaborations, candid speeches and unforgettable reunions that could only be made possible by the Hall Of Fame. For over 25 years, rock and roll's biggest stars have gathered annually for The Rock and Roll Hall of Fame Induction Ceremonies. For the first time on vinyl, you can experience historic performances by Bruce Springsteen, Prince, Cream, Tom Petty, Chuck Berry, Metallica, Jimmy Page, and more. Ten songs, including a monster jam by many of the artists on "While My Guitar Gently Weeps." If you have any questions about this product by WARNER ELEKTRA ATLANTIC (WEA), contact us by completing and submitting the form below. If you are looking for a specif part number, please include it with your message.